We often get asked to recommend local businesses/tradespeople so have introduced this section into our website for just that purpose. We do not receive any financial or other reward for these recommendations, but please mention our name so we can be sure they’ll look after you. And of course, if you know someone who you think we should feature, please let us know! We can highly recommend Chris and his team. 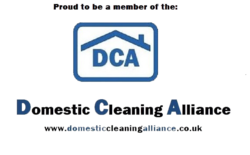 He has carried out cleanings for many of our clients and at Diane’s house. As we know him so well, we can also arrange access for you so he can work while you are out if you choose, with us arranging keys at no extra charge. Steve’s company does all our PAT testing and has a great reputation around Wetherby. They also do the Christmas lights every year in the town centre! From moving a socket to a full rewire, we have no hesitation in recommending them.